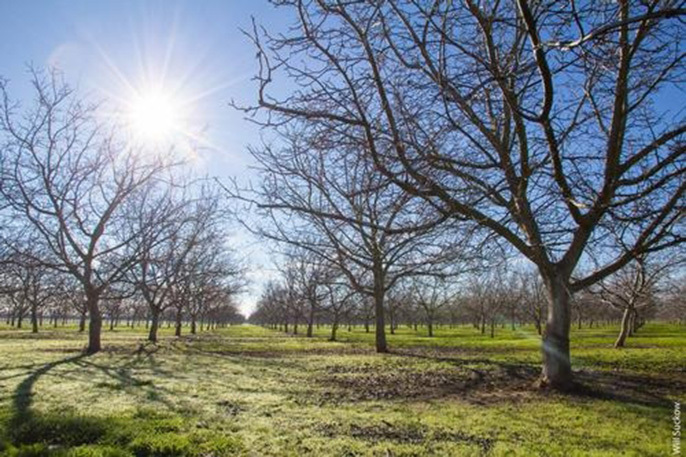 If the current trend of warmer winters continues in Yolo County, chill hours may be insufficient for many walnut varieties by the year 2100. In an effort to forecast how climate change may affect agriculture, University of California agricultural economists looked at how climate has affected crop acreage in the past. The effect of temperature changes on plants depends on local conditions and the crops grown. In a case study of Yolo County agriculture, warmer winter temperatures would reduce chill hours, potentially reducing yields for some crops while extending the growing season for others, according to a UC study published in the peer-reviewed journal California Agriculture. This technique used in Yolo County could be used for projecting the effects of climate change on agriculture in other regions, said Lee. Using about 100 years of climate data and 60 years of farm acreage, Lee and her co-author looked at the relationships between the evolution of local climate conditions and the acreage of 12 major crops grown in Yolo County. The crops included processing tomatoes, rice, alfalfa, wheat, corn, prunes, grapes, walnuts, almonds, safflower, pasture and other fruit. “When we look at maximum and minimum temperatures, the minimum temperatures are higher while the maximum temperature stays about the same,” Lee said. “And the lower temperature is rising at a faster rate, especially in winter. That's good for winter crops, but not so good for crops that require chill hours.” Many tree crops require cold for a certain number of hours below a critical temperature, commonly 45 degrees Fahrenheit, to stimulate the growth of leaves and flowers.